The Power Pressure Cooker XL is my new best friend. 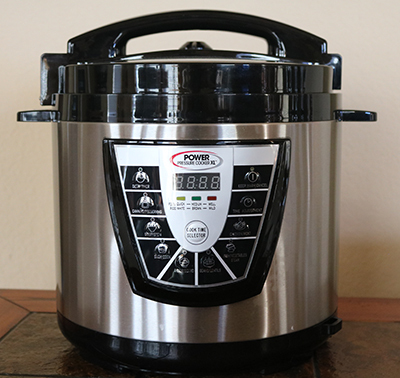 When my husband asked me what I wanted for my birthday, I told him I wanted this new pressure cooker. My daughter, Krista, had told me about hers and how fast it cooked everything. Well, let me just say, I’m overjoyed! I cooked some frozen ribs that I just put in the pot and threw in seasoning. I put the pressure cooker on the proper setting and let it go. About 40 minutes later we were eating some of the best ribs we’ve ever had. 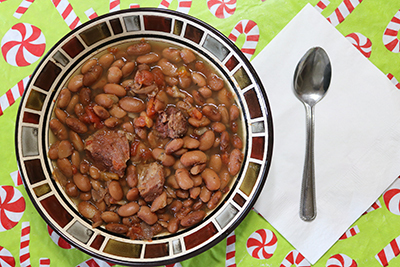 Two days ago, I decided to cook dried pinto beans. I put them in the cooker with about 10 cups of water, seasonings, and several slices of ham left over from Christmas. I turned the timer on 30 minutes. It has to pressure up before it starts so I am guessing all total it took about 40 minutes. I opened the lid, and couldn’t believe they were finished cooking after this length of time and never had to stir them one time. I’m not exaggerating when I tell you the flavor was probably one of the best I’ve ever tasted. I love that you don’t have to keep coming back, adding more water; or worry the beans are going to stick if you don’t constantly stir them, like you do when cooking on the stove. The cooker comes with a measuring cup, ladle, condensation collector (which attaches to the side), and a steamer tray. It comes in 6-quart or 8-quart sizes. It also comes with instructions on how to cook your meat, veggies, fruit, seafood, etc., and a home canning guide. That’s right…its main purpose is for canning, but it does so much more. I am looking forward to canning in it and will share my experience with you when I do. It has 7 default settings, a time adjustment setting, delay timer, and a keep warm setting. If you use one of the default settings or your own time setting, it will automatically switch over to the keep warm setting when the time runs out. I’m looking forward to trying it when I need to go somewhere while it’s cooking. I can set it and come home to my home cooked meal. Did I mention how excited I am? LOL. After I purchased my cooker, my Mom told me she had the same model. Hers went out after about a year of having it. 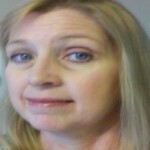 She called up the company and they were extremely nice and said they would send her another one with no questions asked. She asked them what would happen if her new one went out and they said “Well, we will send you another one.” That’s right…Tristar Products, Inc. is a company that stands behind their products. If you decide to purchase one for yourself, I recommend getting the 8-quart so that you can cook larger foods. It’s better to have it too big than not big enough. Happy New Year and Happy Cooking! Just put some navy beans in the pressure cooker for about 25 minutes. They were almost done. Now have added the ingredients for baked beans, no meat, and am slow cooking them, in the same pot, for about 2 hours. Will serve with burgers, vegan & non-vegan, for lunch. That sounds wonderful. I hope it turned out great. How can I get a manual on how to cook dry beans and how much liquid to add.